Halva (halawa, alva, haleweh, halava, helava, helva, halwa, halua, aluva, chalva) refers to many types of dense, sweet confections, served across the Middle East, South Asia, Central Asia, West Asia, North Africa, the Horn of Africa, the Balkans, Central Europe, Eastern Europe, Malta and the Jewish world. Hi Friends! Badam Halwa is very easy to prepare and a healthy, delicious dessert . It does take little more time to make a good Badam Halwa! the result is well worth the effort. Soak the almonds in a bowl , leave them to soak for overnight. Remove skin from the almonds. Put the almonds into a blender and add the milk blend the mixture to form a coarse paste . Take a Kadahi / wok / or a deep, heavy-bottomed pan on medium heat add 4 tbsp of ghee to it. When the ghee melts, add the almond-milk mixture to it mix well. Add sugar to the mixture and stir to mix well. Add the saffron strands and mix well. Cook the mixture on medium heat, stirring constantly . As the liquid in the mixture begins to dry up, keep stirring constantly. Add the remaining ghee and stir well. Keep cooking the mixture until most of the moisture in it dries up. When mixture starts leaving the sides of the Kadahi / wok / pan and the ghee starts to separate from it and halwa no longer sticks to the pan, Badam halwa is ready. Switch off the stove and remove the Badam halwa onto a bowl to cool. Serve at room temperature . Halva can be kept at room temperature with little risk of spoilage. However, during hot summer months, it is better kept refrigerated, as it can turn runny after several days.If you cut the halwa into medium size squares, place a sheet of butter paper between the layers of stacked pieces to prevent them from sticking. Refrigerate it in an airtight container . 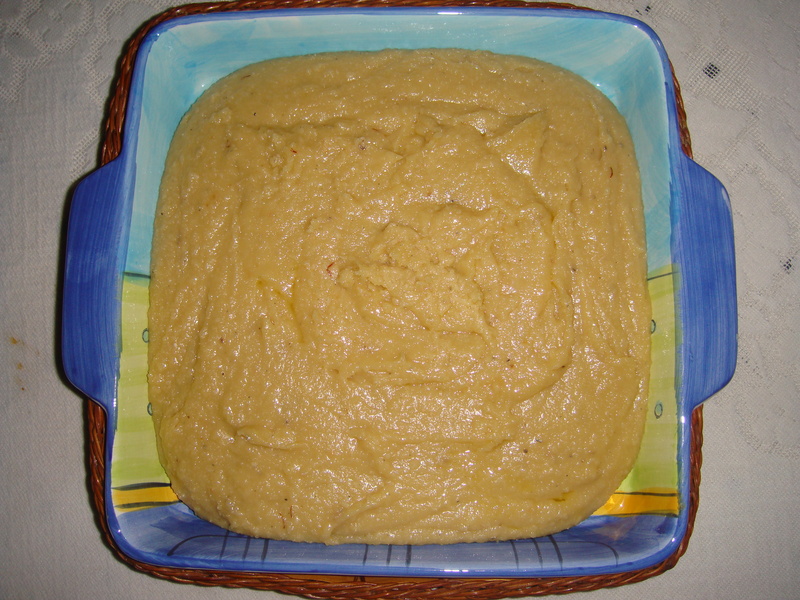 Halva may also be based on numerous other ingredients, including sunflower seeds, various nuts, beans, lentils, and vegetables such as carrots, pumpkins, yams and squashes. Almonds nutrition may not be common knowledge but almonds are considered by nutritionists, to be the healthiest, most nutritious nuts of all. Almond is considered a ‘superfood’ due to the presence of high amount of nutrients in it. It is the most nourishing nut available in the market and contains a wide range of vital elements like soluble and insoluble fiber, protein, omega-3 fatty acid, omega-6 fatty acid, vitamin E, potassium, zinc, calcium, magnesium, and so on. According to nutritionists, these seeds should be soaked in water overnight prior to consuming. It eliminates the toxic materials present in its coating, decomposes its gluten content and releases Phytic acid so that we can get the most out of the nuts. In this article, we are talking about how almonds soaked in water can benefit your health, skin and hair. Soaked almonds can make your food digestion smoother and faster by facilitating the entire digestive procedure. The external layer of the nut contains certain enzyme inhibitor which, when steeped in water, is released due to the presence of moisture. It activates the seeds, makes them easily digestible and allows people to get the maximum nutrition. Soaked almonds also release the lipid-breaking enzyme ‘lipase’, which works on the fat present in the food and aids in your digestion. These are extremely beneficial for pregnant women. As moisture increases the availability of nutrients present in the nuts, they provide ultimate nourishment and energy to both the would-be-mother as well as the fetus. Furthermore, the folic acid content of almonds makes the delivery of baby trouble-free and helps the newborn stay away from any sort of birth-defect. Scientists have proved that the intake of 4 to 6 soaked almonds a day can serve the purpose of a brain tonic and boost the functionality of the Central Nervous System (CNS) to a great extent. Being full of essential fats, these can sharpen the memory and improve the intelligence of growing kids significantly. Almonds immersed in water can reduce your cholesterol levels to a great extent. Basically, they are loaded with Monounsaturated Fatty Acids (MUFA), which lower the amount of Low Density Lipoprotein (LDL) or ‘bad cholesterol’ in your bloodstream. The Vitamin E content of the nuts is also helpful in fighting against LDL and raising the level of High Density Lipoprotein (HDL) in the body. By keeping your cholesterol levels under control with soaked almonds, you can maintain the heart health. They are good source of protein, potassium and magnesium, which are necessary for a healthy cardiovascular system. Apart from these, almonds are full of vitamin E which, being an antioxidant vitamin, combats several fatal heart diseases. Acute hypertension can also be treated by soaked almonds. The low sodium and high potassium content of the nuts can prevent your blood pressure from escalating. In addition, magnesium and folic acid present in the seeds are helpful in lowering the chances of artery congestion. Soaked almonds are a wonderful natural remedy for healing diabetes mellitus. They help to keep your blood sugar level under control and stay away from the daises. There are very few chemical or organic compounds that can promote weight loss like soaked almonds. Being loaded with monounsaturated fat, they satisfy your craving for food and help you shed off additional body weight. Those who suffer from chronic constipation can also get benefitted by consuming soaked almonds. The nut is full of insoluble fibers, which increase the amount of roughage in your body and help you get rid of the problem. Soaked almonds can be mashed and applied to the skin as a natural moisturizer. If your skin is dry, you can mix some whipped cream with the almonds and use the mask every day. It would nourish your skin and hydrate it sufficiently. As a result, you will get soft, supple and smooth skin. If you want to improve your skin tone and get back your lost glow, soaked almonds can help you a lot. It repairs the damaged skin tissues internally and accelerates the formation of new cells. Hence, the tone and texture of your skin are enhanced considerably. Ageing can easily be prevented with soaked almonds. Vitamin E and other antioxidants present in these nuts can eliminate harmful free radicals from your body. As a result, the ageing process gets delayed and you remain younger-looking for a longer period. Paste of soaked almonds can be used as a natural scrub for face as well as rest of the body. You can add milk, lemon or honey to it and prepare different packs. These are very effective in exfoliation of your skin and giving you a fresh, new look. Soaked almond paste can also be used to treat skin inflammation. Be it rashes or chapped skin, the soothing property of the seeds give you relief from itching and irritation quickly. Soak a few almonds in water overnight, mash it in the next morning and finally, prepare a hair mask by mixing a fair amount of olive oil with it. Apply it on your scalp and hair every day. It is a wonderful natural conditioner that can give you smooth and healthy hair. As mentioned earlier, almonds are highly nutritive. Therefore, eating soaked almonds or using its paste on the scalp can nourish your hair and make it stronger. It also repairs severe hair damage, reduces frequent hair fall and helps in the growth of new hair follicles. Soaked almonds also add shine and luster to your tresses. They work directly on the roots of hair. So, include soaked almonds in your morning diet. Be beautiful! Don’t forget to leave us a comment.